– “Forum Role” – at the bottom of the page, under the “Forum” title. Drop-down list here contains bbPress roles only. So, when you select bbPress forum role for user, you don’t replace her blog role. You give user additional role. According to it, it’s incorrect to save bbPress introduced capabilities together with so called blog roles. * Returns an array of capabilities based on the role that is being requested. // Which role are we looking for? According to WordPress itself, such role should contain 'spectate'=>true only. I understand, why developer select this way – it’s more easier modify role if needed in the future. But this is not the main problem of appeared incompatibility between bbPress and User Role Editor. – bbPress doesn’t store its roles at the database as WordPress does, but create its roles and assign them capabilities on the fly, dynamically, every time during PHP source code execution. – bbPress doesn’t replace blog user role by its own, just adding new capabilities to it. 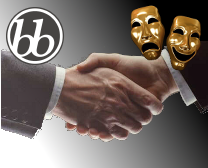 bbPress introduced new roles, which belong to bbPress only, and contains bbPress only capabilities. bbPress started to use multi-role assignment functionality, which existed at WordPress, but was not in use for this moment yet. 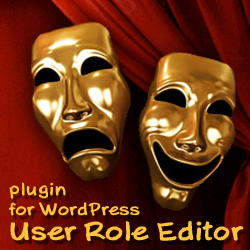 For this reasons, starting from version 3.9 I exclude bbPress roles from User Role Editor. This way any inaccurate actions, like try to save bbPress role into database with help of User Role Editor will not create a mess at WordPress roles data. At the same time fill list of capabilities introduced by bbPress is still available for inclusion into any WordPress blog user role. If you have corrupted user roles at your blog somehow, changed functionality of “Reset” button (starting from version 3.9) could help you. Pressing “Reset” button at URE plugin you can return your blog roles to its zero state, just like when a fresh WordPress installation finished. Be accurate with such critical function, always create backup of WordPress database before use it, just in case something will go wrong. This entry was posted on Friday, January 4th, 2013 at 00:57	and is filed under ShinePHP plugins news, WordPress. You can follow any responses to this entry through the RSS 2.0 feed. You can skip to the end and leave a response. Pinging is currently not allowed.